Mr. Wang Ruixiang, the president of China Machinery Industry Federation, said that China machinery product is more than 85% self- sufficient in mainland china. The situation of importing advanced equipment has been changed. The agricultural combine harvester has fully satisfied the domestic demand by us. 80% processing equipment of key parts of car are satisfied. The acceptability of mechanical products is over 90%. 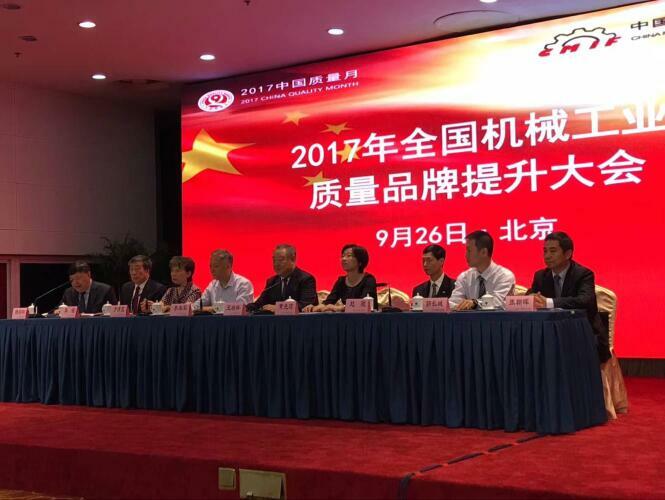 Mr. Wang Ruixiang reported in the National Machinery Industry Quality Brand Promotion Conference. According to the Xinhua News on September 26, China has vigorously promoted the self-reliance and localization of major technical equipment, the proportion of independent brands and products in the domestic market has been increasing. Machinery and equipment technology and quality level achieved international leadership. For example, the main technical performance indicators of high voltage transformer are in the international advanced level. The improvement of enterprise economic performance is benefit from the creation of technique and management improvement. From Jan. to Jul., the profit of internal combustion engine was up 58.18%, engineering machinery was up 81.2% and instrument was up 30.48% year on year. There are gap between development countries and china in high advanced machinery. Most of enterprises’ R & D investment is less than 3%. There is also a gap in product stability and service life.